Answers in Genesis is planning a recognition service to honor Dr. John Whitcomb and the 50th anniversary of "The Genesis Flood" on Oct. 14 and 15, 2011. Faith Baptist Bible College and Theological Seminary in Ankeny, Iowa, is planning a recognition service to honor Dr. John Whitcomb and the 50th anniversary of "The Genesis Flood" on Sept. 19, 2011. Charles Clough shares a testimony regarding how "The Genesis Flood" impacted him personally and reflects on the upcoming 50th annivesary of the book's publication. The 50th anniversary of the publication of "The Genesis Flood" is celebrated in the February, 2011, issue of "Acts & Facts" from the Institute for Creation Research. The 50th anniversary of the publication of "The Genesis Flood" is celebrated in a special article on Answers in Genesis' Web Site. Ken Ham reflects on the 50th anniversary of "The Genesis Flood" and on Dr. Whitcomb's participation in the inaugural Answers for Pastors conference in September of 2010. Ken Ham mentioned Dr. Whitcomb and his influence through 50 years of "The Genesis Flood" on the Jan. 26, 2011, edition of "Crosstalk" from VCY America. This intriguing interview with Dr. Whitcomb was conducted by Kevin Mungons, managing editor of the "Baptist Bulletin." It was printed in the July/August 2010 issue of "Baptist Bulletin." Lawrence Ford, executive editor at the Institute for Creation Research, refers to the history of "The Genesis Flood" in this "Acts & Facts" article on the 400th anniversary of the King James Version of the Bible. Dr. Whitcomb's former student Jeff Guimont states: "There is no other way I can say this: 'The Genesis Flood' radically changed my Christian life." Dr. Whitcomb's article entitled "Remembering 'The Genesis Flood'" was published in the January-March, 2011, issue of "Answers" magazine, in honor of the 50th anniversary of this groundbreaking book. Read this special edition of "Around the World with Ken Ham" as the president, chief executive officer and founder of Answers in Genesis and the Creation Museum discusses 50 years of "The Genesis Flood." This article, written by WMI ministry assistant Paul Scharf, provides historical background to the book which ignited the modern Biblical and scientific creation movements. It was printed in the July/August 2010 issue of "Baptist Bulletin." Author Russell Grigg pays tribute to 50 years of "The Genesis Flood" in the July 2011 issue of "Creation" magazine. Watch Ken Ham discuss the significance of "The Genesis Flood," then see an interview with Dr. John Whitcomb by Mark Looy, in this video clip from Answers in Genesis. Dr. Robert McCabe, professor of Old Testament at Detroit Baptist Theological Seminary and contributor to "Coming to Grips with Genesis," discusses his use of this new book which was written in honor of Dr. John Whitcomb. Dr. Terry Mortenson, speaker, writer and researcher for Answers in Genesis and co-editor of "Coming to Grips with Genesis: Biblical Authority and the Age of the Earth," discusses the book's purpose and contents in this informative article. Read "Around the World with Ken Ham" to learn more about the new book "Coming to Grips with Genesis: Biblical Authority and the Age of the Earth" (Master Books, 2008), which was written in honor of Dr. John Whitcomb. "World Magazine's" Marvin Olasky refers to "Coming to Grips with Genesis" in this brief article on young earth creationism. See an article about "Coming to Grips with Genesis: Biblical Authority and the Age of the Earth" in the Winter 2009 issue of "The Master's Mantle" from The Master's Seminary. Dr. Terry Mortenson (speaker, writer and researcher for Answers in Genesis) is co-editor of "Coming to Grips with Genesis: Biblical Authority and the Age of the Earth," a 450-page paperback first published in the fall of 2008 by Master Books. The book is written in honor of Dr. John Whitcomb. Dr. Thane Ury (associate professor of systematic theology at the United Wesleyan Graduate Institute, Hong Kong) is co-editor of "Coming to Grips with Genesis: Biblical Authority and the Age of the Earth." The book is written in honor of Dr. John Whitcomb. Find information here about purchasing "Coming to Grips with Genesis: Biblical Authority and the Age of the Earth" on www.amazon.com. Find information here about purchasing "Coming to Grips with Genesis: Biblical Authority and the Age of the Earth" from the Answers in Genesis Bookstore. Find information here about purchasing "Coming to Grips with Genesis: Biblical Authority and the Age of the Earth" on www.Christianbook.com. Find information here about purchasing "Coming to Grips with Genesis: Biblical Authority and the Age of the Earth" from Grace Books International. Find information here about purchasing "Coming to Grips with Genesis: Biblical Authority and the Age of the Earth" from the New Leaf Publishing Group. This is the personal Web site of Dr. William Barrick, professor of Old Testament and director of Th.D. studies at The Master's Seminary. The site highlights biblical studies and Bible translation. Dr. Todd Beall, professor of Old Testament literature and exegesis at Capital Bible Seminary in Lanham, Md., is a contributor to "Coming to Grips with Genesis: Biblical Authority and the Age of the Earth." Dr. Steven Boyd, professor of Old Testament and Hebrew at The Master's College in Santa Clarita, Cal., is a contributor to "Coming to Grips with Genesis: Biblical Authority and the Age of the Earth." Dr. Trevor Craigen, professor of theology at The Master's Seminary in Sun Valley, Cal., is a contributor to "Coming to Grips with Genesis: Biblical Authority and the Age of the Earth." Dr. Travis Freeman, associate professor of Old Testament at the Baptist College of Florida in Graceville, Fla., is a contributor to "Coming to Grips with Genesis: Biblical Authority and the Age of the Earth." Dr. David Hall, senior pastor of Midway Presbyterian Church in Powder Springs, Ga., is a contributor to "Coming to Grips with Genesis: Biblical Authority and the Age of the Earth." Dr. John MacArthur, pastor of Grace Community Church in Sun Valley, Cal., and president of The Master's College and The Master's Seminary, is a contributor to "Coming to Grips with Genesis: Biblical Authority and the Age of the Earth." Dr. Richard Mayhue, senior vice-president, dean and professor of theology and pastoral ministry at The Master's Seminary in Sun Valley, Cal., is a contributor to "Coming to Grips with Genesis: Biblical Authority and the Age of the Earth." This is the personal Web site of Dr. Richard Mayhue, senior vice-president, dean and professor of theology and pastoral ministry at The Master's Seminary. Dr. Bob McCabe, professor of Old Testament and registrar at Detroit Baptist Theological Seminary in Allen Park, Mich., is a contributor to "Coming to Grips with Genesis: Biblical Authority and the Age of the Earth." He gives information about the book here on his Web Site. Dr. Ron Minton, missionary with Baptist Bible Fellowship International to Ukraine, is a contributor to "Coming to Grips with Genesis: Biblical Authority and the Age of the Earth." The late Dr. Henry Morris, founder and president emeritus of the Institute for Creation Research in Dallas, Tex., is a contributor to "Coming to Grips with Genesis: Biblical Authority and the Age of the Earth." Dr. James Mook, professor of systematic theology at Capital Bible Seminary in Lanham, Md., is a contributor to "Coming to Grips with Genesis: Biblical Authority and the Age of the Earth." Paul Scharf, associate with IMI/SOS International in Hudsonville, Mich., and ministry assistant for Whitcomb Ministries, Inc. in Indianapolis, Ind., is a contributor to "Coming to Grips with Genesis: Biblical Authority and the Age of the Earth." James Stambaugh is a contributor to "Coming to Grips with Genesis: Biblical Authority and the Age of the Earth." Pat Roy is the founder of CreationWorks, which will produce, distribute and represent "Encounter God’s Truth." Roy has extensive radio experience and has helped a number of Christian organizations launch radio ministries. The host of "Encounter God’s Truth" is well-known Christian radio announcer Wayne Shepherd. Shepherd spent more than 30 years with Moody Broadcasting and has worked on a number of highly-regarded Christian radio and television programs. Listen to "Encounter God's Truth" with Dr. John Whitcomb every week on this Internet outlet. Dr. John Whitcomb expounds on the Tower of Babel and the dispersion of mankind in this article, originally published in "Creation" 24(3):31–33, June 2002. Dr. Whitcomb begins a Biblical overview of the topic of Babel in this October 2001 "Faith Pulpit" article from Faith Baptist Theological Seminary in Ankeny, Iowa. Dr. Whitcomb concludes his Biblical overview of the topic of Babel in this December 2001 "Faith Pulpit" article from Faith Baptist Theological Seminary in Ankeny, Iowa. Author Tim Lovett references Dr. Whitcomb and "The Genesis Flood" in this article on the history of art portraying Noah's ark. The article comes from "Answers Magazine" (Vol. 2, No. 2). Geologist Dr. Andrew Snelling (professor for the Institute for Creation Research) speaks about the influence of "The Genesis Flood," and about his work on a book covering the same subject, in this article from "Answers Magazine" (Vol. 1, No. 2). Read a compelling interview with Dr. Whitcomb, conducted by Ken Ham, from "Creation Ex Nihilo" magazine (Dec. 2000 - Feb. 2001). These two renowned creationists discuss the subject, "Half-born Christians?". Dr. John Whitcomb tackles some interesting theological questions on creationism in this article, originally published in the magazine "Creation" 13(1):46–47, December 1990. Read about Dr. Whitcomb's influence on Ken Ham, president and founder of Answers in Genesis, in this article on the Creation Museum from the July 2007 issue of "The Baptist Bulletin." Dr. John Whitcomb takes on the doctrine of progressive creationism, as taught by scientists such as Dr. Hugh Ross, in this article published by the Institute for Creation Research. Read an aricle by Ken Ham, president of Answers in Genesis, in which he describes some of the influence that Dr. Whitcomb and "The Genesis Flood" had upon his life and his view of creation. In this article for ICR's "Impact" series (#395, May 2006), Dr. John Whitcomb tells the story of reaction -- both positive and negative -- to the historic book which he co-authored with the late Dr. Henry Morris. Dr. Whitcomb, along with the late Dr. Henry Morris, is mentioned in an interesting article by Dr. Thomas Ice, executive director of the Pre-Trib Research Center, from the June 2006 issue of "Pre-Trib Perspectives." The title of the article is, "The Logic of Biblical Creationism and The Future." Author Tim Lovett follows up on his previous study entitled, "Depicting the Ark—A Sign of the Times?" from "Answers Magazine" (Vol. 2, No. 2). Read Dr. Whitcomb's article on the "Universality of the Genesis Flood" from pages 40 to 42 in Vol. 2, No. 2 of "Answers Magazine" from Answers in Genesis. Read this blog from Doug Phillips, president of Vision Forum Ministries, from Aug. 14, 2008, entitled "Dr. John Whitcomb: One of the Greatest Defenders of the Faith Alive Today." "When I was in seminary in the later 1950s, Dr. John C. Whitcomb opined in class that dispensationalism could take possibly two hundred years to be fully integrated into (systematic theology)," stated Dr. Rolland McCune in this interview with SharperIron.org. Read a review of this important new book from the University Press of America, edited by Ron Bigalke, Jr., to which Dr. Whitcomb was a contributor. The review is a Web Exclusive from "The Baptist Bulletin" Web site. Dr. Whitcomb tackles a difficult theological subject in this detailed and heavily footnoted article posted by the Pre-Trib Research Center. Dr. Thomas Ice quotes a reference to "The Genesis Flood" in this article from the Pre-Trib Research Center entitled, "From A Garden To A City." Dr. Thomas Ice quotes Dr. Whitcomb's commentary on Daniel in this article from the Pre-Trib Research Center entitled "Ready to Rebuild," about the rebuilding of the Jerusalem Temple. Dr. Thomas Ice references Dr. John Whitcomb and his December 2007 lecture before the Pre-Trib Study Group in this February 2008 article from "Pre-Trib Perspectives," entitled "The 2007 Pre-Trib Study Group Conference." Dr. Thomas Ice references Dr. John Whitcomb and his December 2008 lecture before the Pre-Trib Study Group in this February 2009 article from "Pre-Trib Perspectives," entitled "The 2008 Pre-Trib Study Group Conference." Dr. Whitcomb offers a definitive statement about the prophecies, nature and distinctives of the Millennial Kingdom in the July/August 2000 edition of the "Faith Pulpit." This is the publication of Faith Baptist Theological Seminary in Ankeny, Iowa, where Dr. Whitcomb teaches each September. What kind of judgment still lies ahead for the true Christian? Dr. Whitcomb explains in this detailed article, posted by the Pre-Trib Research Center. "Finally, the long-awaited update to the Morris/Whitcomb classic, 'The Genesis Flood!'" So states the description found in the Answers Bookstore about this new two-volume set by Dr. Andrew Snelling, published by the Institute for Creation Research. The famous Bible charts produced by Dr. John Whitcomb and Dr. James Boyer were used with permission in "The MacArthur Study Bible." Read Dr. Whitcomb's endorsement of "The New Defender's Study Bible" at the Institute for Creation Research's online store. "The New Inductive Study Bible" has adapted and reproduced Dr. Whitcomb's famous Bible charts. On p. 42, the work credits Dr. Whitcomb for the use of his Old Testament dating scheme. Visit the Tim LaHaye Ministries Bookstore and view the LaHaye Prophecy Library. Dr. Whitcomb is a contributor to both the "Tim LaHaye Prophecy Study Bible" and "The Popular Encyclopedia of Bible Prophecy." Bible Broadcasting Network Bible Institute includes the following courses by Dr. John Whitcomb: "Genesis," "Nehemiah," "Understanding Creation" and "OT Prophecies of Christ." Find all the information you could want about one of the most important topics in all of life - reading the Bible. Like Dr. Whitcomb, Dr. Woodrow Kroll has a vital interest in your personal investment in reading and studying the Bible, and this ministry of Back to the Bible can help you do that. ITS provides theological curriculum that is used in locations around the world. Dr. Whitcomb produced an audio course for ITS entitled, "The Divided Monarchy," many years ago, and it is still in use. Dr. John Sproule, a former colleague of Dr. Whitcomb at Grace Theological Seminary, shares his Biblical insights as a Greek scholar and Bible translator. Middletown Bible Church in Middletown, Conn., often invites Dr. Whitcomb to speak at the National Bible Conference which they hold each April. 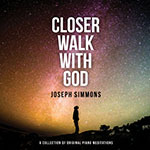 Many of these messages are available here on SermonAudio.com by the label, "Ind. Fundamental Bible Conf." This site has a wealth of information. Find a list of in-depth studies of Biblical issues compiled by Pastor George Zeller of the Middletown Bible Church in Middletown, Conn., which offers them at cost. Dr. Whitcomb personally recommends this listing. The SODT Web site offers a wealth of solid Biblical information, including many scholarly articles. SODT is one of the leading voices for traditional dispensational theology in the church today, and Dr. Whitcomb has cooperated with their ministry. Find vast amounts of Biblical information on the Web Site of Dr. Paul Lee Tan and Prophetic Ministries, Inc. Dr. Tan is a former student of Dr. Whitcomb, and considers him his "mentor in the faith." We highly recommend the resources available on this site. Vision Forum Ministries President Doug Phillips is a friend of Dr. Whitcomb. They and others participated in a January 2003 summit on progressive creationism which was taped for use on the radio by the Institute for Creation Research. Tyndale Seminary president Christopher Cone is the general editor of "Dispensationalism Tomorrow & Beyond: A Theological Collection in Honor of Charles C. Ryrie," which contains contributions from 16 other authors, including Drs. John Whitcomb and Ryrie. Dr. Ron Bigalke Jr. is the compilation editor of this volume, which includes contributions from Dr. John Whitcomb, Dr. Terry Mortenson and late Dr. Henry Morris, among many others. Here is Dr. Whitcomb's biography as found on the Web site of Answers in Genesis, for which he serves as a creation speaker. Here is Dr. Whitcomb's biography as found on the Web site of BMH Books, which handles the sales and distribtion of his books. In 2006, Dr. John Whitcomb participated in Vision Forum's History of the World Mega-Conference, where he was a co-presenter of the "Man of the Century Award" to Dr. Henry Morris. See pictures from this historic event here. See many more pictures from Vision Forum's 2006 History of the World Mega-Conference, including a close-up of Dr. Whitcomb. Ken Ham, president of Answers in Genesis, writes about Dr. Whitcomb's co-author of "The Genesis Flood," Dr. Henry Morris, upon his passing. Read Dr. John Whitcomb's "Dedication Message" at the Jan. 26, 1986, dedication of the headquarters of the Institute for Creation Research in Santee, Cal. The Morris and Whitcomb Room, located on the lower level of the Answers in Genesis Creation Museum in Petersburg, Ky., is named in honor of "The Genesis Flood" co-authors Dr. John Whitcomb and the late Dr. Henry Morris. On June 17, 2000, Dr. Whitcomb led in prayer at the dedication of the site of AiG's Creation Museum and Family Discovery Center. Read the account, and see pictures, of this historic day. Read about Dr. Whitcomb's participation in missions through teaching at the Far Eastern Bible College in Singapore. Visit the official Web Site of the ministry which God used to bring Dr. Whitcomb to faith in Christ -- the Princeton Evangelical Fellowship -- which was begun under the leadership of Dr. Donald B. Fullerton. Dr. John Whitcomb served in the 84th Infantry Division in Europe during World War II, fighting in the Battle of the Bulge, and helping to liberate a concentration camp. Read more about the "Railsplitters" on this informative World War II Web site. Dr. John Whitcomb is one of several distinguished dispensational theologians to be honored in an exhibit at The Charles Ryrie Library and Study Center, which was recently constructed on the campus of the Word of Life Bible Institute in Pottersville, N.Y.
Tyndale Theological Seminary & Biblical Institute unveiled the John C. Whitcomb Meeting Room at its new campus in Hurst, Texas, which opened in March of 2011. Dr. Whitcomb highly recommends and often distributes this 24-page booklet by Dr. Terry Mortenson which denounces evolutionary geology and the need for millions of years in earth's history. It may be ordered from the Answers in Genesis store. Read the biography of the keynote guest speaker for the Third Annual Day with Whitcomb Ministries (held Saturday, Nov. 11, 2006, in Menomonee Falls, Wis.) -- Carl Kerby of Answers in Genesis. You can also listen to several Web casts with Mr. Kerby on this page. There are far too many references to Dr. Whitcomb on AiG's website than can be linked to individually. Here is a complete listing of them. Dr. Whitcomb is very grateful for the work of this creationist organization. Is the truth of "The Genesis Flood" still needed today? Read this article by Dr. Terry Mortenson to find out — you may be surprised! Dr. Mortenson spoke at the Second Annual Day with Whitcomb Ministries conference on Nov. 5, 2005, in Menomonee Falls, Wis.
"Answers Research Journal is a professional, peer-reviewed technical journal for the publication of interdisciplinary scientific and other relevant research from the perspective of the recent Creation and the global Flood within a biblical framework." The Ark is being built on a beautiful rolling terrain site just off Interstate I-75, about 40 interstate miles from the Creation Museum in northern Kentucky (near Cincinnati). Dr. Whitcomb has a long and storied relationship with ICR and its late founder, Dr. Henry Morris. Here is the list of all the many references to Dr. Whitcomb on their website. Brookside Baptist Church of Brookfield, Wis., was the host church for the Sixth Annual Day with Whitcomb Ministries, to be held on Nov. 21, 2009. Calvary Baptist Church of Menomonee Falls, Wis., was the host church for the Second, Third and Fourth Annual Days with Whitcomb Ministries, held each November in 2005, 2006 and 2007, respectively. Fellowship Baptist Church of South Bend, Ind., was the host church for the Fifth Annual Day with Whitcomb Ministries, which was held on Nov. 8, 2008. The wonderful creation video from Eternal Productions which Dr. Whitcomb was privileged to narrate -- "God of Wonders" -- is now available in Spanish. Ambassadors for Christ, Inc. has a goal of reaching Chinese intellectuals for Christ in this generation. Read all about their work on their informative Web site. Bible Broadcasting Network has translated a course by Dr. John Whitcomb, "OT Prophecies of Christ," for its free online Russian Bible Institute. BBN also uses the Russian audio version of "The World That Perished" in the institute. See the Spanish versions of Dr. Whitcomb's materials – including the first three of his famous Bible charts – which are available through Editorial Bautista Independiente in Sebring, Fla.
Frontline Missions International publishes "The Early Earth," "The World That Perished" and "Those Mysterious Dinosaurs" in Russian for distribution by missionaries. Slavic Gospel Association distributes the Russian version of Dr. Whitcomb's books in Russia, Siberia and the Ukraine. SGA president Bob Provost was a student of Dr. Whitcomb at Grace Theological Seminary. Dr. John Whitcomb served as president of the board of the Spanish World Gospel Mission, Inc., from 1959 to 1990. This group is now known as Spanish World Ministries, Inc., and continues to be a great friend to our ministry. SharperIron.org site publisher Aaron Blumer conducted an interview with Dr. Whitcomb immediately following the Sixth Annual Day with Whitcomb Ministries on Nov. 21, 2009. Blumer also wrote a short article to complement the interview. Dr. John Whitcomb was one of several distinguished speakers at the "History of the World Mega-Conference," which was hosted by Vision Forum in 2006. Order the audio collection from this conference here. "Return to the Word" was a daily radio program focused on Biblical counseling and the sufficiency of Scripture for all areas of life. Dr. Whitcomb was a guest on this program, which was hosted by Dr. Ed Bulkley. The programs are now archived and available online at this link. Follow this link to find the audio of Dr. John Whitcomb which is available from Vision Forum on Behemoth.com, "a large-scale, cost-effective download venue for customers of all ages, featuring trustworthy, downloadable audio and video content for the Christian family." Eternal Productions has produced several outstanding evangelistic video and print resources, especially in the areas of creationism, prophecy and the cults. Dr. Whitcomb has been involved in some of these projects. Be sure to make good use of these one-minute evangelistic invitations, free for use on broadcast or Internet radio, from the late Dr. Dave Breese. Learn more from Dr. Whitcomb on this Web site, which features a number of noted Bible scholars and promotes their teachings and ministries. This Christian broadcast Web site allows you to listen to hundreds of speakers,' authors' and pastors’ radio broadcasts, studies and sermons on demand. The fundamentalist Web site SharperIron.org runs Dr. Whitcomb's "Monthly Monograph" articles each month. You can also find other references to him on this page. To watch videos of Dr. Whitcomb speaking at the Starkey Road Baptist Church in Seminole, Fla., in January of 2011, go to this link and click on "Archived Ustream Videos" at the bottom of the page. This Web site carries many of Dr. John Whitcomb's messages, which can be purchased for downloading in MP3 format. Dr. John Whitcomb was a guest on "Crosstalk" on the VCY America Radio Network on Friday, Aug. 27, 2004; Friday, Nov. 4, 2005; Friday, Nov. 10, 2006; Friday, Nov. 9, 2007; Friday, March 13, 2009; Friday, Nov. 20, 2009; and Tuesday, Oct. 26, 2010. Answers in Genesis president Ken Ham discusses the impact that Dr. John Whitcomb has had on the modern creation movement in this edition of "Faith2Action" from May 1, 2009. Dr. John Whitcomb and the late Dr. Henry Morris were referenced on the Sept. 18, 2008, edition of "Grace to You." View a transcript of "Creation Day 2" by Dr. John MacArthur, from his series "The Battle for the Beginning," by clicking on this Web Link. Dr. John Whitcomb and the late Dr. Henry Morris were referenced on the May 23, 2011, edition of "Grace to You." View a transcript of "The How, Why, and When of Creation, Part 2" by Dr. John MacArthur, from his series "The Battle for the Beginning," by clicking on this Web Link. Dr. John Whitcomb and the book "The Genesis Flood" were referenced on this edition of "Grace to You." View a transcript of "Divine Judgment on False Teachers, Pt. 2" by Dr. John MacArthur, from his series "2 Peter, Vol. 06," by clicking on this Web Link. Dr. John Whitcomb and his co-author Dr. Peter Masters and their book, "The Charismatic Phenomenon," were referenced on this edition of "Grace to You." View a transcript of "How Do Spiritual Gifts Operate?" by Dr. John MacArthur, from his series "Charismatic Chaos," by clicking on this Web Link. Dr. John Whitcomb was a guest on "Crosstalk" on the VCY America Radio Network on Friday, March 13, 2009. The subject was Bible prophecy and parallels between our time and the days of Noah. This purpose of this program, hosted by Dr. Jimmy DeYoung, is "examining current events in the light of God's prophetic Word." Dr. Whitcomb was Jimmy's guest on Nov. 26, 2005, and that interview is posted here on SermonAudio.com. Dr. John Whitcomb appeared on the May 10, 2008, Mother's Day edition of "Science, Scripture & Salvation" from the Institute for Creation Research. The title of the program was "Creation and the Importance of Mothers." Find the schedule of speakers for the Bible Broadcasting Network's "Conference Pulpit," which occasionally plays messages by Dr. Whitcomb. The program airs Monday through Saturday evenings at 9 p.m. eastern time on the BBN. Dr. John Whitcomb has recorded several weeks' worth of programs for the historic "Heaven & Home Hour" radio broadcast, which is featuring him from Feb. 14-25, 2011. Look at their Web site for complete details. Dr. Whitcomb is an occasional guest on the well-known creationist radio program, "Science, Scripture, & Salvation." You can listen on the Internet or find a station near you on this page. Dr. Whitcomb was interviewed by Dave Pattillo for the "In the Beginning" radio program in the spring of 2004. You can listen to this interview here on SermonAudio. Dr. Terry Mortenson, speaker at the Second Annual Day with Whitcomb Ministries, appeared as a guest on the "Crosstalk" program on VCY America on Sept. 9, 2004, to discuss origins. He was also a guest on the program on Aug. 5, 2005, when he talked about the Intelligent Design Movement. Find a wealth of information -- including "classic messages" from the Moody Broadcasting Network -- on WGNR's Web site. Dr. Whitcomb is occasionally interviewed by this station in Anderson, Ind., near Indianapolis. Dr. Whitcomb is seen five times each week on WVCY-TV 30 in Milwaukee, Wis. (Sundays at 7 a.m., Tuesdays at 6 p.m., Wednesdays at 8 a.m., Thursdays at 3 p.m. and Saturdays at 3 p.m.). Occasionally, WVCY-TV also replays the March 2002 and November 2005 VCY Rallies at which Dr. Whitcomb spoke. Eternal Productions produced the "God of Wonders" video which Dr. Whitcomb was privileged to narrate. Find much more information on this excellent resource here. Watch excerpts from and gain much other information about the amazing new creation video from Eternal Productions which Dr. Whitcomb was privileged to narrate -- "God of Wonders." Dr. John Whitcomb contributed to this evangelistic DVD that refutes the claims of Mormonism. Dr. John Whitcomb was interviewed for this amazing new video from Answers in Genesis. Visit this site to read many excellent articles on Bible prophecy -- and living in its light -- by the late Dr. Dave Breese, a staunch dispensationalist and highly acclaimed Bible teacher and author. The purpose of this council is "equipping modern church leaders with a stronger academic basis for defending dispensationalism and interpreting the Bible accordingly." Dr. Renald Showers is a renowned Bible teacher with the Friends of Israel. Dr. Showers has many resources available to help you understand the Bible, such as his classic book, "There Really is a Difference." He also has powerful messages here on our pages on SermonAudio.com. This Web site offers much useful information on Bible prophecy and current events, and also contains links to many other helpful sites. Read many articles on Bible prophecy by Dr. Tim LaHaye and Dr. Tom Ice, two of the leading prophecy scholars today. Dr. Whitcomb was a contributor to the "Tim LaHaye Prophecy Study Bible," published by AMG in 2000. Dr. Ice appeared at the first ever Day with Whitcomb Ministries in August of 2004. Learn more about Bible prophecy and the history of dispensational thought on this fascinating new Web site from Dr. Mal Couch, who has worked on various projects with Dr. Whitcomb through the years. Find much information, including many writings and articles, from Dr. Whitcomb's late friend and colleague -- dispensational Bible scholar Dr. John F. Walvoord, who served at Dallas Theological Seminary for 65 years. Dr. Whitcomb teaches a module at the Capital Bible Seminary in Lanham, Md., each June. Dr. Whitcomb has appeared at Central Baptist Theological Seminary in Plymouth, Minn., several times, even speaking at the school's 50th anniversary in the fall of 2006. Dr. John Whitcomb spoke at the Chafer Theological Seminary Bible Conference in January of 2010. Dr. Whitcomb spoke at DBTS on March 15, 2007, and the audio from these sessions is available here under "Rice Lecture Series." Several of the professors at this fine school were Dr. Whitcomb's former doctoral students. 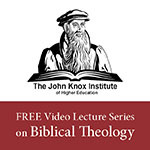 Dr. Whitcomb teaches a module each September at Faith Baptist Theological Seminary in Ankeny, Iowa, where he serves as visiting professor of theology and Bible exposition. Dr. Whitcomb was privileged to be the keynote speaker at the first Bible Conference at Grace Baptist Bible College in Winston-Salem, N.C., in January of 2010. Dr. Whitcomb has been a guest teacher at the Piedmont Baptist Graduate School in Winston-Salem, N.C. His most recent visit there was in January of 2009. Dr. Whitcomb has spoken multiple times at Shasta's annual Alpha/Omega Conference on Creation and End Time Prophecy. Look for audio from these conferences here on SermonAudio.com. Dr. Whitcomb teaches each January at The Heritage Lecture Series, held at Tyndale Theological Seminary's Fort Worth Learning Center. Dr. Whitcomb enjoys teaching the book of Genesis at all three WOLBI locations each year. This entire series of messages is now available here on SermonAudio. Look for them by the title "Word of Life." Read the story of Tom Meyer, a member of Wordsower International Ministries, who is sharing the Scriptures he has memorized while he lives and studies in the Holy Land. Dr. John Whitcomb is a reference for Tom Meyer, a member of Wordsower International Ministries. WMI encourages believers to make use of Meyer's ministry -- and to take up his call to memorize the Scriptures. Dr. Rolland McCune, Dr. William Combs, Dr. Robert McCabe and Dr. Bruce Compton, professors at Detroit Baptist Theological Seminary in Allen Park, Mich., each studied at Grace Seminary with Dr. Whitcomb. Their profiles can all be viewed through this link, and each one is now teaching others. Dr. John Hartog II and Dr. Myron Houghton, professors at Faith Baptist Theological Seminary in Ankeny, Iowa, each studied under Dr. Whitcomb at Grace Theological Seminary. They are profiled on this page, and spend their lives teaching others. Dr. William Barrick, Dr. Irvin Busenitz, Dr. Trevor Craigen, Dr. Michael Grisanti and Dr. Richard Mayhue, professors at The Master's Seminary in Sun Valley, Cal., each studied under Dr. Whitcomb at Grace Seminary. They now give themselves to teaching others. Dr. Roy Beacham is a professor at Central Baptist Theological Seminary in Plymouth, Minn. He studied under Dr. Whitcomb at Grace Seminary, and has been teaching others for many years. Though never a student at Grace Seminary, Dr. Tommy Ice considers Dr. Whitcomb to be one of his "spiritual heroes." He is teaching others at Libery University and as the executive director of the Pre-Trib Research Center. Dr. David Jeremiah may be one of the most well-known of Dr. Whitcomb's former students, having studied under him at Grace Seminary while ministering in Fort Wayne, Ind. A pastor, author and educator, Jeremiah is also teaching others by means of a nationwide radio and TV ministry, "Turning Point." Dr. Renald Showers received his doctorate of theology at Grace Theological Seminary under Dr. Whitcomb, and is one of his former students who has been out teaching others for many years. Here is a link to one of Dr. Showers' books, "There Really is a Difference." Dr. Paul Lee Tan, a prolific author and well-known Bible prophecy teacher, studied under Dr. Whitcomb at Grace Theological Seminary, where he received his Th.D. Learn how to request a conference from Answers in Genesis, for which Dr. Whitcomb continues to serve as a speaker. Dr. John Whitcomb is now a creation speaker for Answers in Genesis. You can learn how to request him to speak at your event, and see a schedule of his AiG-sponsored events, on AiG's Web Site. Whitcomb Ministries gratefully acknowledges Audioposting, which performs all the audio encoding for our broadcasts here on SermonAudio.com. Mrs. Norma Whitcomb has begun a new blog, where she posts devotional thoughts and her own reflections from "God's Word and Norma's Notes." Dr. John Whitcomb is a member of the board of reference for Congdon Ministries International, Inc.
Be sure to visit our Facebook page to follow and receive the latest news from Whitcomb Ministries. Dr. John Whitcomb is a member of the Technical Advisory Board of the Institute for Creation Research in Dallas, Tex. Jeff Brown, who has been instrumental in the development of the Christian Workman Schools of Theology curriculum and other projects for Whitcomb Ministries, Inc., pastors this church in Middlebranch, Ohio. Jarl Waggoner operates The Christian Editor in North Carolina. He is an author, editor and Bible teacher, and has worked on several major book projects, including assisting Dr. John Whitcomb. Dr. John Whitcomb was instrumental in the founding of the Conservative Grace Brethren Churches International, and speaks at their annual conference each July. Many of these messages may be found here on SermonAudio.com. Dr. Daniel Pritchett, son of Dr. and Mrs. Whitcomb, and vice-president of Whitcomb Ministries, Inc., pastors this church in Hagerstown, Md. Visit our ministry Web site, where you can read articles by Dr. Whitcomb, ask him a question on a Biblical issue, and see much more news and information about WMI. Make sure to bookmark our site or make it your homepage!